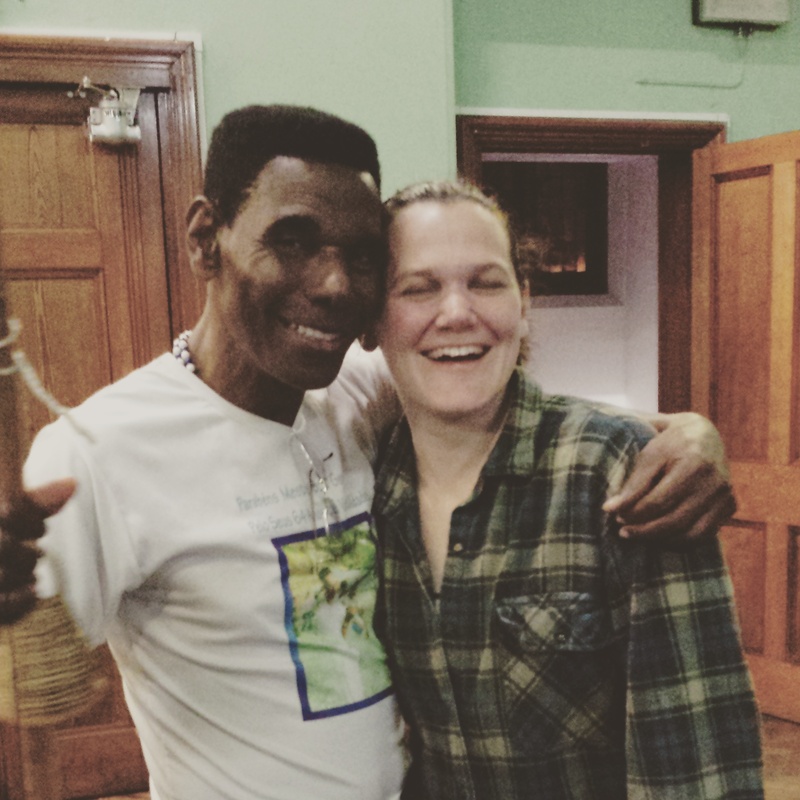 May has been a fantastic month of Capoeira, seeing, playing with and speaking to many Mestres, both local and international. It all started with a workshop hosted by the London branch of our group – Abolicao Synergy London. After a number of their group visited Mestre Biscuim in South End of Sea where they were hosting Mestre Boa Gente, Mestre Biscuim brought Mestre Boa Gente to London to deliver a workshop for the group. Mestre Boa Gente was born in 1945 and has lived through the history of Capoeira, playing both Angola, and Regional with Mestre Bimba – the founder of Capoeira Regional. He is a big character, and is one of the Mestres who is welcome everywhere, no matter the group, no matter the style. He is also amazingly youthful for his 70 years! He says his secret is Capoeira and vegetables – I think that it helps that he also seems like such a happy soul. We had a great workshop with him, starting with dance, which is so important to get into the movements of the game and give it character and flow, and then ending with an amazing roda with the guys from the London group, Mestre Boa Gente, Mestre Biscuim and the mestre of our group, Mestre Negao – it had such amazing axe (energy). 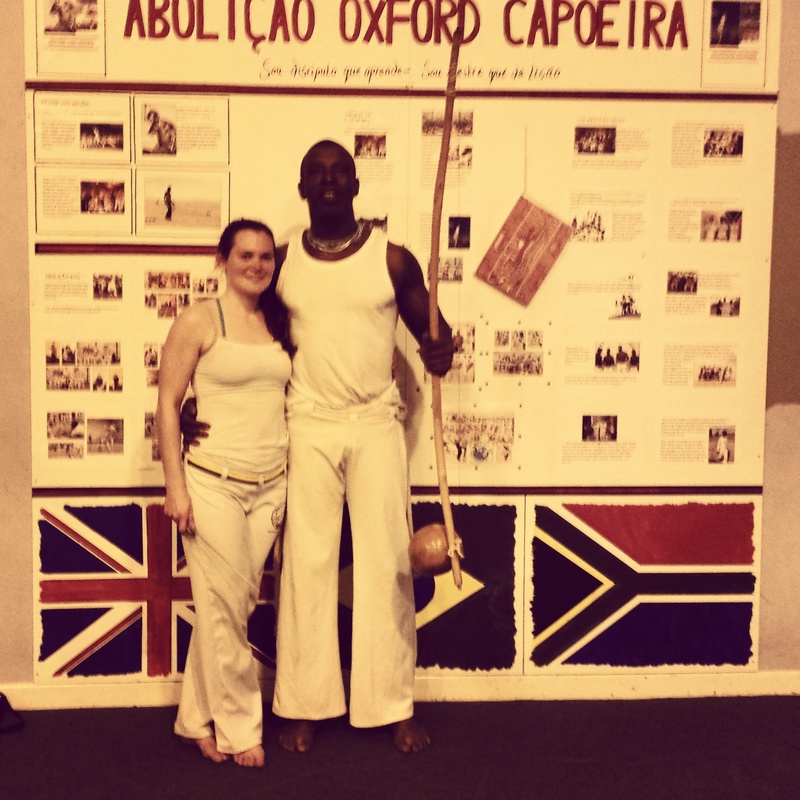 The following Tuesday with had a workshop in Oxford with our Mestre Negao. This was great since about 18 months ago he moved away and so we don’t get to see so much of him anymore. It as amazing to train with him, and to have him there to lead the roda – he always brings such amazing energy and Axe to the roda, sometimes you do things you didn’t realise you could. Finally the following weekend we went to Coventry for Contra-Mestre Anjo’s batizado, with Mestres Boa Gente (Bahia, Brazil), Mestre Israel (Czech Republic), Mestre Velho Jose (London, UK), Mestre Maxwell (Swansea, UK), Mestre Andorinha (Italy) and of course our Mestre Negao and Professor Dourado. It was such a good day, so much roda and opportunity to play with new people, and such good energy with all the students so excited to get their belts. It is so important to play with new people as often as possible – you get to know how the people in your group play from playing with them and watching them all time time, and you can start to predict what they are going to do. It can lead to beautiful games as you can work together without thinking, but it is also important to be able to play with people when you don’t know what they are going to do. Also, I find that different groups have different distinctive moves that they do, again developed from training together all the time and learning from one another, so it is great to go and pick up new moves from other groups and bring them back to your own, expanding your repertoire. 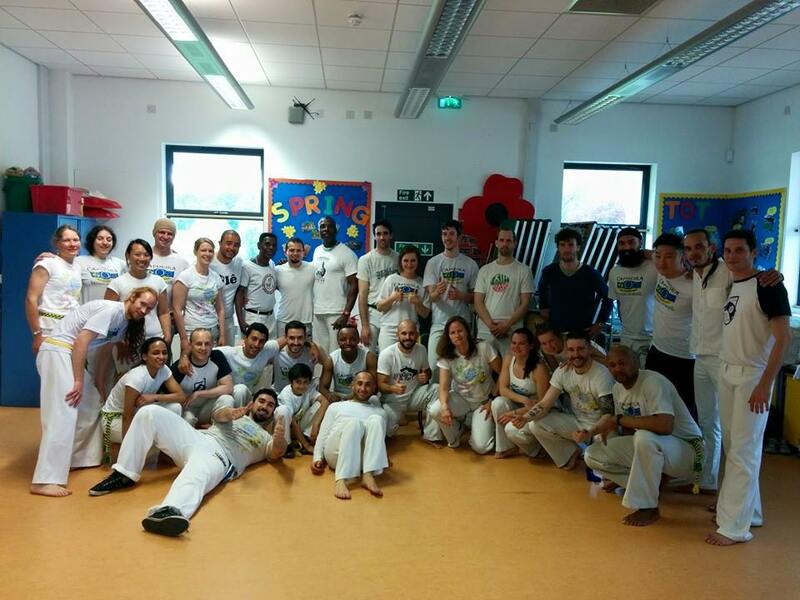 Of course the best thing is having the opportunity to train with so many Mestres, who have so much to teach you, and talk with them about their opinions on capoeira and get advice from them to develop your own skills – I has some great conversations with the mestres in Coventry that mean a lot to me. I’ll be topping off the month next weekend going to Swansea for Let’s Play Capoeria, an event organised by Mestre Maxwell with Mestre Acordeon, who is in the country. Mestre Acordeon is another of the old mestres who trained with Mestre Bimba before becoming a famous teacher himself – he is also very well known for his music, many of the albums we use for training and Mestre Acordeon’s. He came to the UK in 2013 for another event hosted by Mestre Maxwell and where he announced that for his 70th birthday he would cycle from Berkeley (where he is based now) to Bahia (the home of Capoeira) stopping to play with all the Capoeira groups along the way, and raising money online for his charity that helps create positive learning environments for children in Salvador – read all about it (and better yet donate) here. It will be amazing to hear about his experiences next weekend. 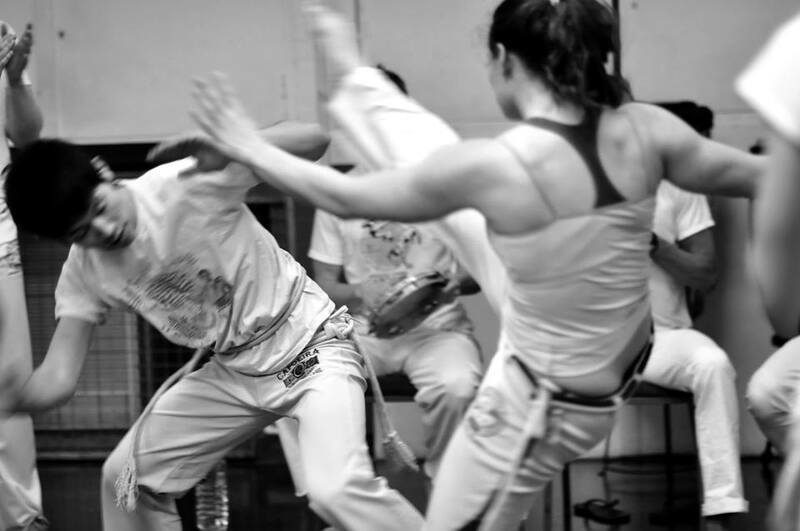 It is months like this that I am especially grateful that I discovered Capoeira – it brings me joy and pleasure, keeps me fit, and I get to meet some amazing people with a unique ‘capoeira’ philosophy on life around living in the moment, being yourself. and being generous. 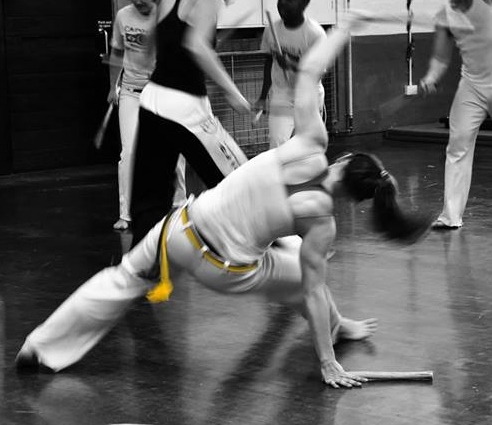 This entry was posted on May 25, 2015 by Jessica Suess in Capoeira.